2016 Flickan, mamman och demonerna (Feature) Dir: Suzanne Osten. 2015 The Bridge season III (TV series) Dir: Henrik Georgsson. Filmlance. 2008 Maria Larssons eviga ögonblick (Feature) Dir: Jan Troell. 2000 Brott§våg - Gamarna (TV Series) Creators: Erik Leijonborg, Måns Mårlind. 1999 Many Blue (Feature) Dir: Martin Lima de Faria. 1998 Pistvakt - en vintersaga (TV Series) Dir: Stephan Apelgren. 1998 Håkan Nesser - Kvinnan i det låsta rummet (TV Mini Series) Dir: Leif Magnusson. 1997 Den täta elden (TV Mini Series) Dir: Daniel Alfredsson. 1997 Välkommen till festen (Feature) Dir: Ella Lemhagen. 1994 Bara du och jag (TV Series) Dir: Suzanne Osten. 1992 Min store tjocke far (Feature) Dir: Kjell-Åke Andersson. 1991 Sista vinden från Kap Horn (TV Series) Dir: Agneta Fagerström-Olsson. 1990 Kaninmannen (Feature) Dir: Stig Larsson. 1989 Peter och Petra (Feature) Dir: Agneta Elers-Jarleman. 1987 Komedianter (TV series) Dir: Björn Melander. 2015 Ann was rewarded with the Gannevik scholarship for Film 2012 Ann was again rewarded a Guldbagge, Best Actress in a Leading Role, for her role as Jonna in "Happy End". 2003 Ann was rewarded a ”Guldbagge” (Swedish Oscar) for her performance in "Om jag vänder mig om". The same year she was awarded with the Jarl Kulle scholarship and the theatre critic’s price. She has now attracted attention internationally. 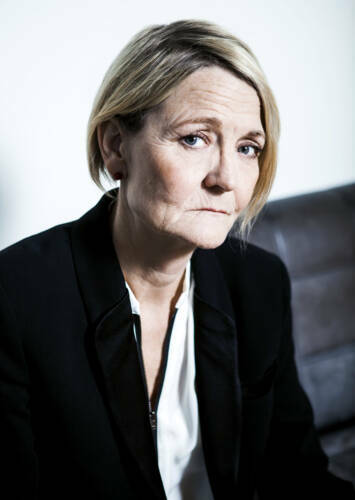 Ann has done a large amount of short films, radio theatre and readings. She also teaches at the school of theatre and institute of drama. 2005 she was elected honorary member of WIFT.